Dynastar Legend X88 Skis - Men's: Merging freeride DNA with a versatile, all-mountain waist width, the all-new LEGEND X88 delivers powerful, all-terrain performance through any snow conditions. Our newest Powerdrive Free construction unleashes smooth dynamic power, playful energy, and ground-breaking grip for the most responsive ski control. 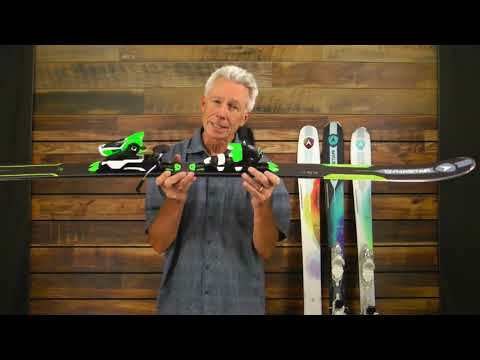 See more Dynastar Skis with powder drive technology. The progressive rocker profile and five-point sidecut supply natural versatility, while titanal reinforcement delivers the additional frontside power and stability. ABS sidewalls drive energy more efficiently to the edge of the ski for increased edge grip and dynamic ski control. Featuring a progressive five-point sidecut, moderate tip and tail rocker, and traditional camber underfoot, our ALL MOUNTAIN PROFILE combines on-trail power and precision with playful off-trail versatility.